What does a Golfer do? A professional golfer will eventually have to get used to playing in front of an audience. 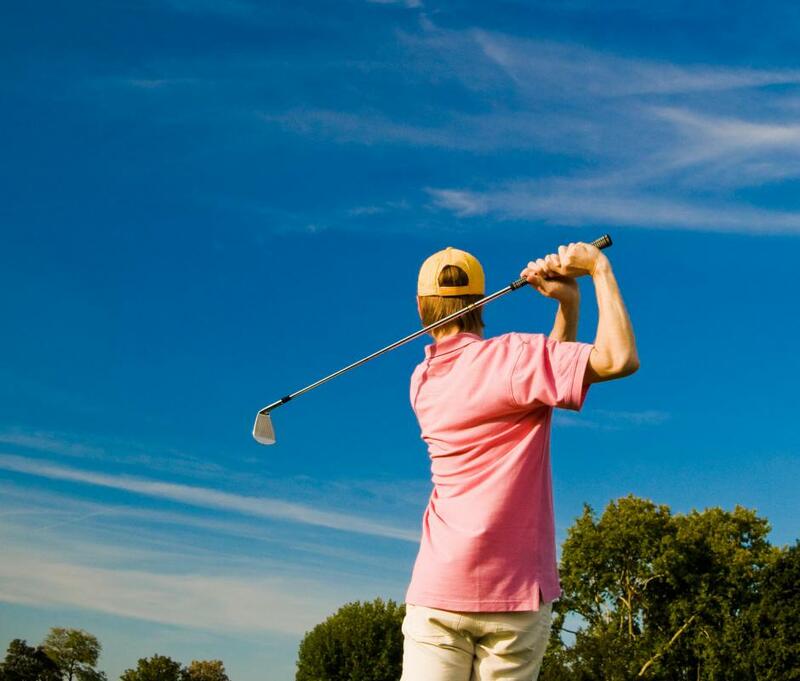 At the beginning of each hole, a golfer hits his ball from a tee that raises it above the ground. A golf course usually consists of rolling hills that are set between sparse woods. A person who wants to become a professional golfer must put many hours into practicing the game. 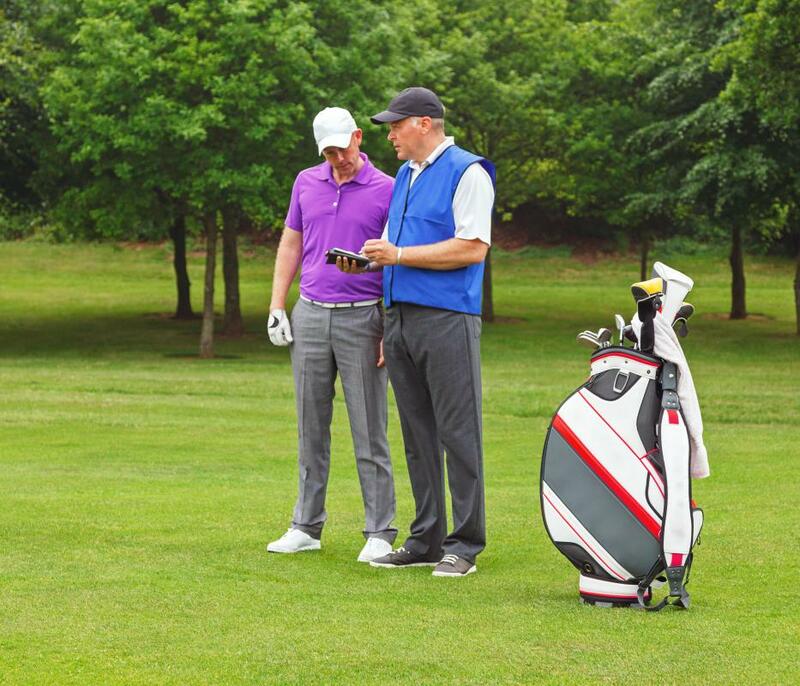 A professional golfer may work as a pro at a course, teaching other golfers to improve their game. Some golfers hire caddies who carry their golf bag and clubs from hole to hole. A professional golfer plays the sport of golf for a living. If male, the golf pro will strive to play in Professional Golfers Association (PGA) tournaments. If female, the pro golfer may aspire to golf in the Ladies Professional Golfers Association (LPGA) tournaments. Playing in national and international golf tournaments is often the ultimate goal of professional golfers. There is often a long series of other activities, expectations, and responsibilities to triumph before a pro golfer competes in prize winning golf tournament events on a regular basis, however. 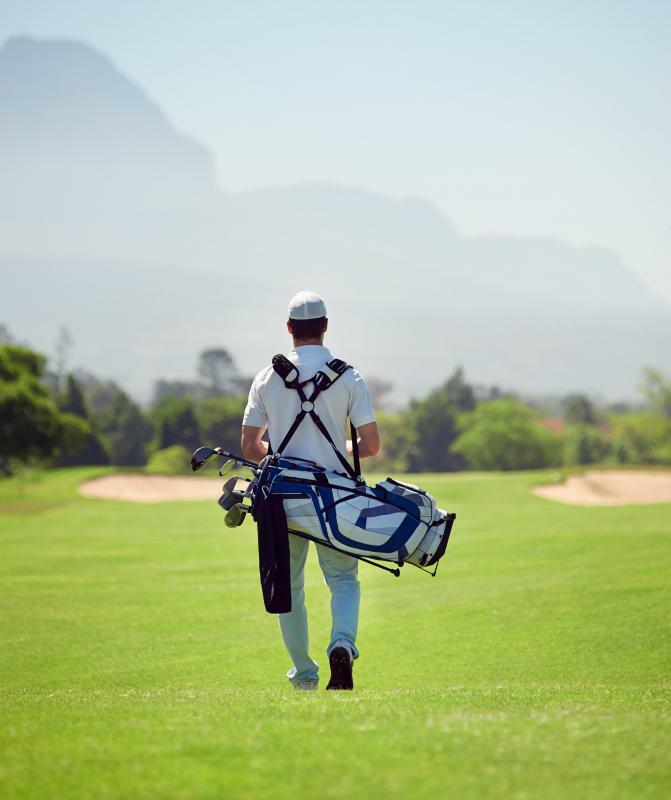 An aspiring professional golfer typically attends a golfing school in order to learn the rules of the game; golfers may also take part in golf clubs in universities or colleges. Aspiring professional golfers usually hope to be selected for apprentice programs. These golf apprenticeships provide training in the technical skills of the game. The best college apprenticeships are usually reserved for career-minded golfers with a single figure golf handicap. In the game of golf, a handicap number under 10 is considered desirable whether golfers are pros or amateurs. A golfer who wants to become a professional athlete must keep practicing the game. The perfection of the golf swing is especially important, but hitting balls daily at a driving range is a good way to eventually get a consistent under 10 handicap. Professional golf takes a great deal of determination, patience, and practice; pro golfers must have a strong passion for the game. What many people don't realize is that most professional golfers spend a lot of time teaching golf. Being a golf teacher provides a good living for many pros in the sport. A golf pro may also run public courses or manage sport association groups. Managing the pro shop is a main duty for many golfers. A pro shop is a store located at a golf course. In addition to selling golf equipment, shoes, and clothing, pro shops employ golfing experts to give club members professional advice. For instance, a golfer who works in a pro shop may spend much of his or her time analyzing golf swings and fitting clubs to individual golfers. Most golf club pro shops prefer to hire golfers who are certified by the PGA or LPGA. When a professional golfer gets good enough to play regularly in PGA or LPGA tournaments, winning large amounts of prize money is a real possibility. Prize winning top golfers are then usually offered product endorsement contracts with advertisers. These contracts usually pay very well and add greatly to the income of a pro golfer. 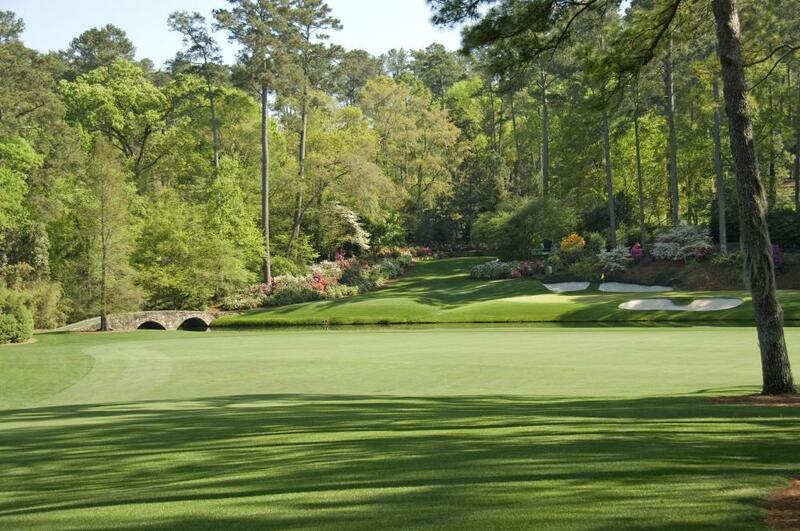 How Do I Choose the Best Golf Courses? How do I Choose the Best Golf Swing Trainers? What are Illegal Golf Balls? 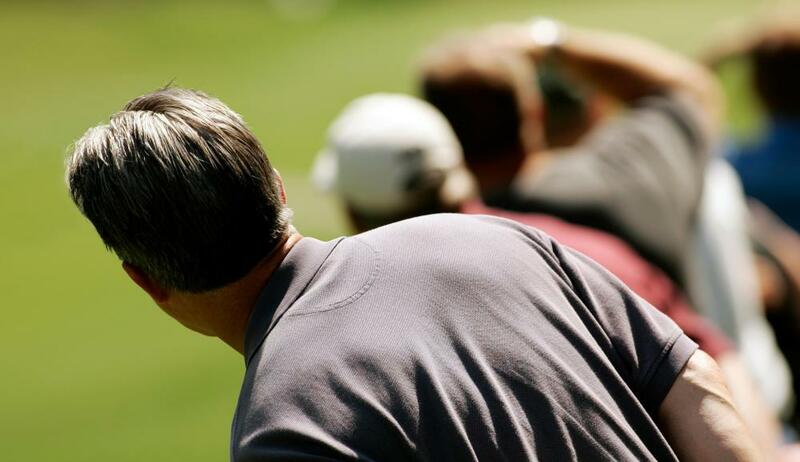 What does a Golf Instructor do? How do I Become a Golf Instructor? @stl156 - I absolutely agree. Bobby Jones was one of the greatest golfers that ever lived and he was an amateur his whole career. Jones chose to be an amateur simply because there was not a lot of money to be made on the golf course when he played, so he played for the sheer competition of it and chose to be a lawyer for a living. their local clubs and dominate their competition. 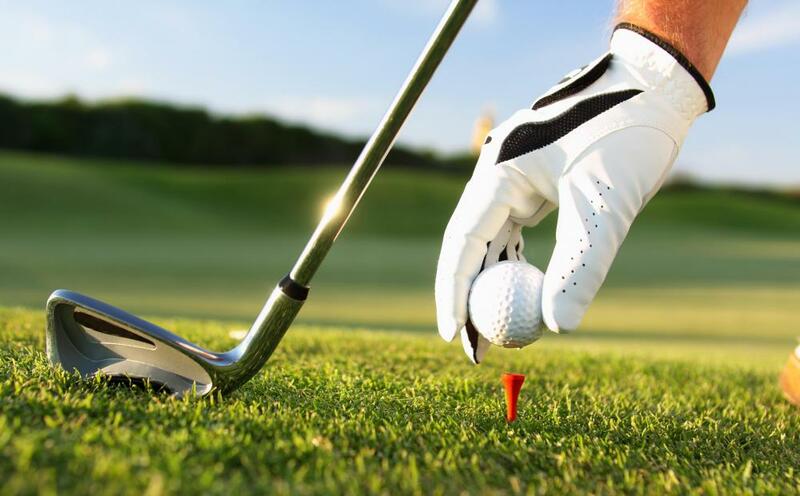 Unless one is looking to manage a golf course for a living, they will not make money competitively unless they have the talent of a top tier player, which is only designated to a few hundred players in the world. This is why there are a lot of amateurs in the game of golf and only a few pros and outside of the professional tours designated only for these players the line between the game an amateur plays and a professional plays can be blurred. @jmc88 - I absolutely agree. There are a lot of misconceptions with the game of golf and what is considered to be a professional and what amateurs are. Just because someone is an amateur does not mean they cannot beat a professional, it just means they do not play golf for a living and choose to do other things to make their money. Because of the money one can make being a professional, most really really good amateurs do turn professional, but there are still many that feel they are not good enough to make enough money top sustain themselves in such a hard profession in being a touring pro, so they play golf as secondary to their regular jobs. need to realize that the golfers they see on television are in a class of their own and are probably in the top few hundred golfers in the world out of millions that play the game. At lower levels than this an amateur can be really good and regularly beat a professional, but the stigma of being an amateur causes people to think lowly of their game. @jcraig - I absolutely agree and this article points out a popular misconception that people have with professional golfers. Most people do not realize that a regular professional golfer is not someone that they see on television that plays in tournaments and makes millions of dollars. In reality, most professional golfers are simply people that run local clubs and manage the course. a 10 shot handicap are like this. At my club the professional there is a 9 shot handicap and he is not even one of the top ten player sin the club, but this is the route he has chosen in life, while others take the game of golf as a way to pass time and not as a profession. I love how this article says that in order for someone to become a professional golfer they must be under a 10 shot handicap. For those of you who do not know what handicap is, it is relatively how many shots an individual averages over par in the course of a round they play, which does not have to be a tournament. A 10 shot handicap is not that great of a golfer in the large scale of things, but in reality is simply a decent to good player. However, this article is correct as anyone who wants to be a teaching professional needs to have a handicap under 10 in order to do so and must go through the proper training, which will probably include an apprenticeship to another professional in order to complete their training and in fact become an official professional golfer.